it is perhaps the world's cheapest mobile phone. It is the latest offering from Hugo Chavez's socialist revolution. And its name is derived from a slang word ...... Behold the Vergatorio. 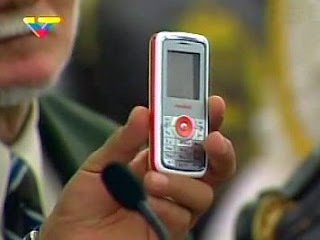 the phone has a camera, WAP internet access, FM radio and MP3 and MP4 players for music and videos. .......And it has that name. what does that name mean you ask?